Coming off a rocky start in volume 1, Persona 4: The Animation had a lot of ground to make up for in this 2nd volume. I asserted in my review of Persona 4 volume 1 that the series relied too heavily on the viewer being initiated by the Persona 4 video-game. Those issues have been addressed and by and large quelled in this second part, which builds upon the foundations set in volume 1 and forges a distinct identity that does not feel like a skeletal version of the video-game. It does well to bring in the uninitiated, but is it too little too late for Persona 4: The Animation? 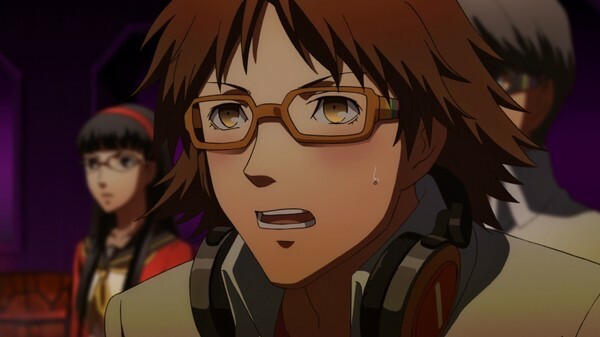 The action heats up in volume 2 of Persona 4: The Animation. More mysteries arise with murder at the crux of it all. Throughout this part we see these characters become more than simple tropes, we see them gain substance, all the while the plot thickens bringing a much desired forward momentum that the series had previously lacked. 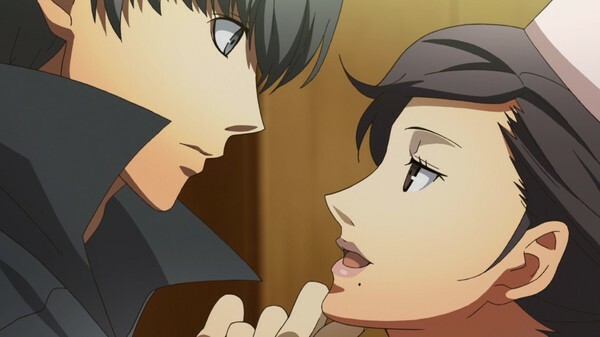 It goes without saying that Persona 4: The Animation has been hindered greatly by the shackles of the game it is adapting for the majority of its run. Those shackles aren’t broken in this part but they are at least loosened. The key to this is in the deeper level of substance the series has begun to find. It has started to understand that jump-cuts won’t cut it (pun intended) and that explanation is necessary in order to flesh out and explore the concepts of Persona 4 in greater depth. It bends ever so slowly into the anime form that it quietly becomes an anime series instead of a collection of video-game cut scenes. 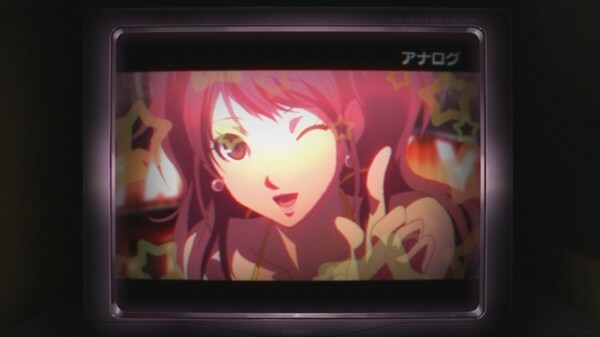 This is really a marked improvement for Persona 4: The Animation. This part really did go a long way in terms of developing these characters and the world of Persona 4, in particular Midnight Channel and protagonist Yu getting much needed depth. Unfortunately however it may be too little too late for Persona 4: The Animation, heading now into its final sprint the series has taken far too long to find its feet, the momentum has only begun to pick up, which is undoubtedly setting the stage for a hit or miss kind of finale. The series does improve in this part, but if you didn’t find anything to like in part 1 this part will not give you any more satisfaction as it is ultimately more of the same but with a bit more flavour. The visual aesthetic of Persona 4: The Animation is continually impressive, at least while in the world of Midnight Channel. I do feel that there is a intended contrast of the boring drab daily life of the real world in comparison to the wild imagery of Midnight Channel. The use of the colour yellow does make a noticeable impact creating a feeling of harmony between both worlds, all the while placing immeasurable distance between the two. It is quite the balancing act but it is one that Persona 4: The Animation does manage to in fact pull off. On top of that there are several interesting character designs and some lovely sakuga animation scenes over the course of this stretch of episodes. 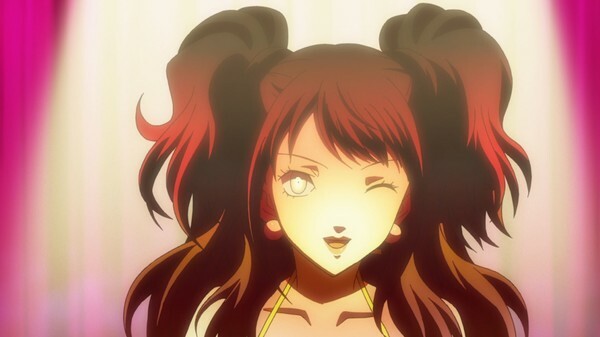 The real star of Persona 4: The Animation is undoubtedly its incredible soundtrack. No matter how haphazard the rest of this anime’s production may be, it can’t be said that it doesn’t have an amazing soundtrack. That is of course due to the fact that the soundtrack appears to be pulled directly from the game itself. That said, the tracks are well placed and timed with great musical direction that amplifies scenes as well as paces them. It is definitely one of the better anime soundtracks in recent memory. 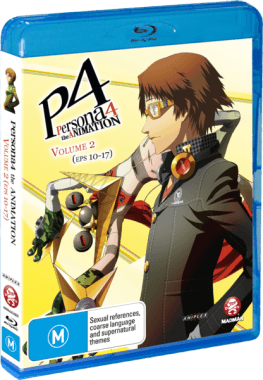 Madman Entertainment have once again done a great job in regards to bonus features, with Persona 4: The Animation volume 2 coming packed with some great extras to get stuck into. Included in this bundle are the standard features, a lovely reversible cover and the short dramas called ‘Jikken-kun’ all of which makes for a solid bunch of special features for this release. Persona 4: The Animation is not without its problems. But it shows significant improvement in this second part that should be commended. It takes what was a very literal adaptation inherently flawed by its very nature and molds it into an anime form that can be appreciated by those who have not played the video-game it was adapted from. This is quite the turn around but it is unfortunately inconsequential. If you couldn’t get into the first part, you won’t want to stick around for the second part even if it improves. It must be said however that if you are a fan of the video-game series, you will have loved the series from day dot. It is clearly a very literal adaptation in all senses that doesn’t seem too interested in escaping those trappings. But be it by crook or by hook it does manage to elevate itself to something of greater substance in this second part. Does it correct the missteps the series made in the early goings? No it certainly does not, but it does become something that the series should have been since the beginning – accessible. Persona 4: The Animation volume 2 is an interesting volume of the series, that shows growth and even moments of brilliance. It is still a messy series that clings far too closely to its source material, but those moments of brilliance and long awaited growth show that this could have been a truly great series had it had enough faith in the source material to reach a wider audience than those who played the game. Persona 4: The Animation volume 2 does a lot of things right and i definitely a better direction for this series. I can’t recommend it if you were not pleased with the first volume, but if you’re willing to give it a shot you may see that this series is finding its ‘true self’ underneath all of the chaos.